Interest of savers in Raisin remains strong: In significantly less than four years, Raisin customers have invested more than EUR 4 billion in savings products. As a result, Raisin is the leading marketplace for investments in Europe and one of the fastest growing fintechs in the world. 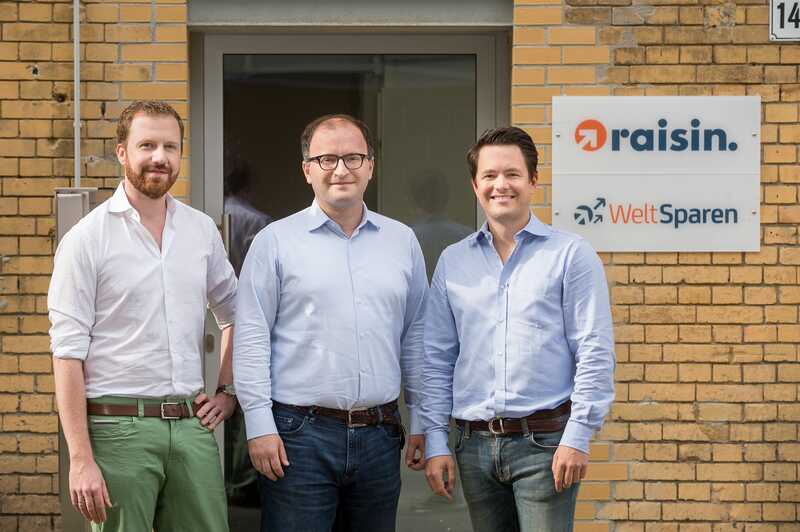 Founded in 2013 as the first marketplace for investments in Europe, Raisin is now about twice the size of its next largest competitor. An ever-increasing range of savings products, partner banks, and distribution partners as well as an excellent customer experience have been the keys to success for Raisin. “With 34 partner banks from 17 European countries, customers can find the majority of the highest interest rate offers available in the market on our platforms” says Tamaz Georgadze, CEO and founding member. In many European markets, Raisin is the only available or largest marketplace for savings products: In addition to the German platform, Raisin has localized platforms in Austria, France and Spain as well as a pan-European English presence. “It took us almost two years to reach the first billion and another ten months until the second milestone of EUR 2 billion. For the third and fourth billion it only took us four months for each.” Tamaz Georgadze is convinced the company will surpass EUR 5 billion until the end of 2017. “Due to our attractive offers and the high level of customer satisfaction, existing customers invest ever-increasing amounts with our partner banks and also refer friends and family.” This way, Raisin was able to acquire more than 90,000 customers. Raisin allows customers to conveniently compare European term deposits as well as overnight money and subsequently invest with the selected partner bank. This way, savers earn significantly higher interest rates than from their local banks. Before Raisin launched its service, savers had to deal with barriers such as varying, complex account opening procedures in foreign languages, a lack of transparency about available offers from other countries, administrative requirements etc. Often, even the physical presence of the saver was required to open a deposit account with a European bank abroad.